Multiplication is very, very dull. If you are of a certain age, you will remember those endless, repetitive lessons at school, chanting times tables over and over again. Thankfully, lessons have improved somewhat since then and these days all good schools move mountains to make learning a bit more interesting. How can we help at home, though? I know that, at my son's Parent's Evenings, the two most recommended areas to work on at home are reading and times tables. Reading is relatively easy, but I have always found tables difficult to teach. It's just... so... boring! Ok, I'll admit, Maths isn't really my thing, but it has to be done. So, I did the only thing I could do, in the face of an apathy uprising from my son, introduced chocolate! The aim of the game is to answer the multiplication question within five seconds, to earn a Malteser. You can make this game competitive and pit players against each other, but this only really works if you have a group of children of similar ability. The players take it in turns to answer, with the Quizmaster holding up a card and starting the stopwatch. You can select a time that is most appropriate for the age and ability of the child or children, but we find five seconds is about right. You want to make it a challenge, but not too difficult, as to leave the child feeling discouraged. 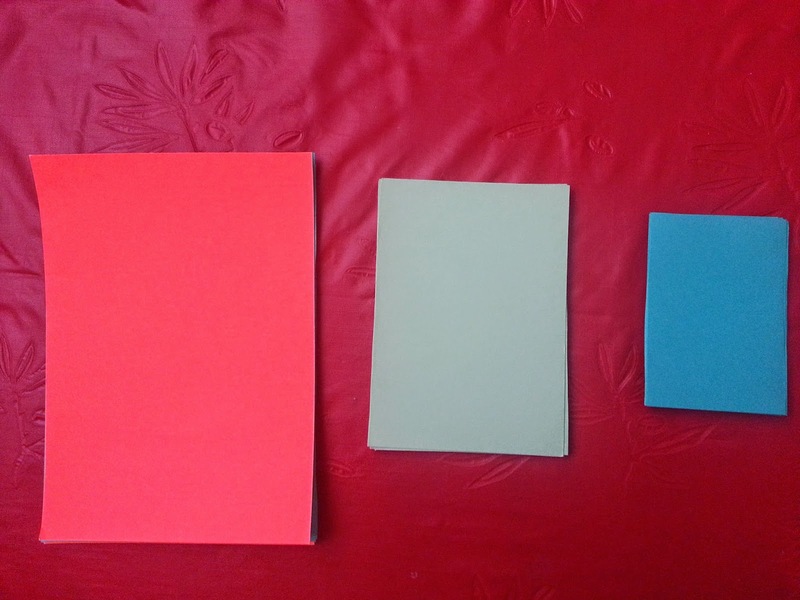 To make card-sized cards, begin with a sheet of A4 card, fold in half, then cut along the fold, repeat the folding and cutting sequence twice more, until you achieve the optimum size for flashing! 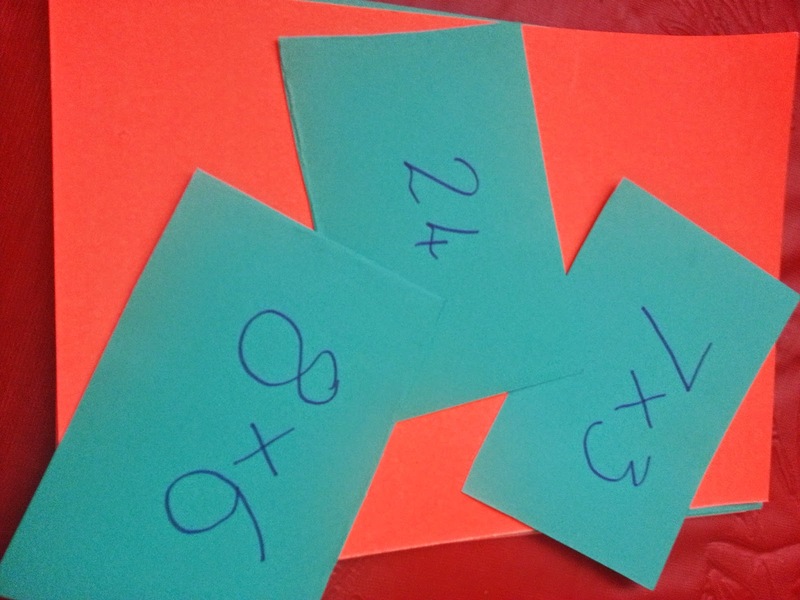 Next, using a felt tip or marker, write the sum for the multiplication on one side of the card and the answer on the other. Unless you are a Multiplication Master, in which case, you won't need the answer! This is quite time-consuming, so we concentrated on two tables each week, so we only had to make 24 cards a week, until we had a full set. We went up to 12 with our tables, but you could go up to ten to make it easier. And that's all there is to it. It's as easy as 1, 2, 3! Read my last post about education here; School Governors. Seriously, what do they do? He he, it's not cheating it's intiative! Lucy you are fab. I will give this a go, James is very good at his timetables but making it fun, catches their imaginations and hopefully he will remember too. Liam is a little young, maybe I will change its to subtraction. Thank you! And that's a good idea, you could adapt it to suit what they most need to learn! 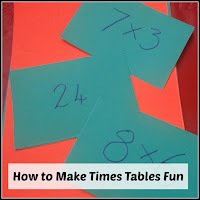 Teaching the times tables this way sounds like fun. 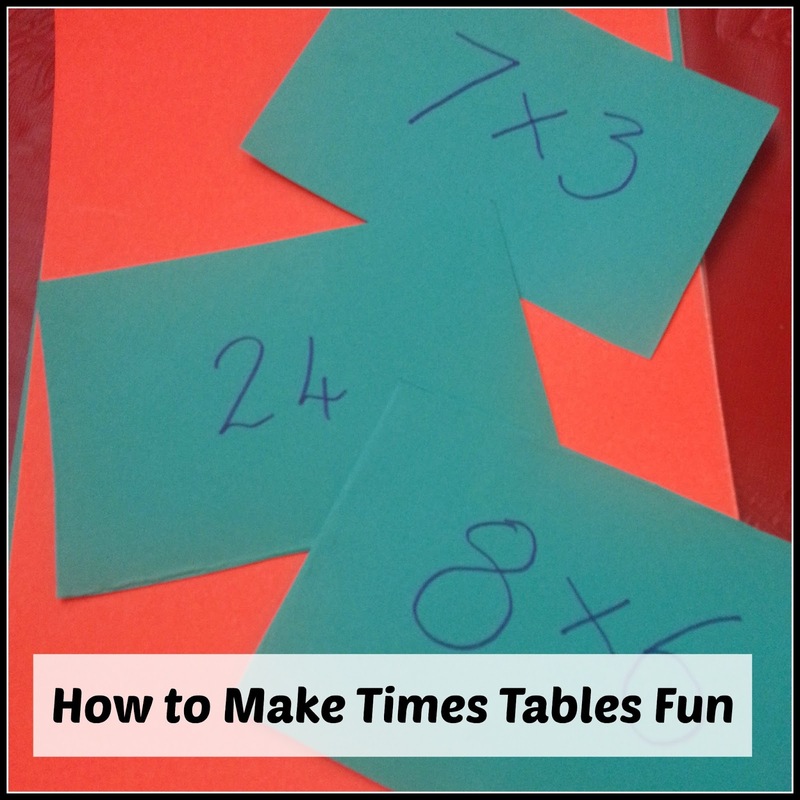 Once they have learnt their tables - they will never forget them! That's the plan, a little effort now will be really worthwhile when he's older, hopefully! You are not a nightmare! That's what the comment box is for, commenting, you can't agree with everything! For what it's worth, I agree with you. I have certainly never really been keen on homework at primary level. But I do think things like times tables, handwriting, etc, are worth trying to encourage, if you can, as they are a big investment for their future. I do try really hard to make it fun though and not too much like work! So was I! That's why I want to try to get Luke to learn them while he's young! My boys love maths, so we have never had to make it a game as they just learn, but english that is a different story! Hmmm, maybe you could adapt the idea for spellings or something? There's always room for chocolate! Making maths fun... now that is a great achievement, Fantastic! Remind her about the chocolate, that's the important bit! Although I'm sure you will be a genius and won't need any help at all! Totally, I would have learned more if there had been chocolate involved, I'm sure! That's the thinking behind it, I had the same problem at my school! This is brilliant - we're trying to get the times tables to stick in my son's head at the moment so this sounds perfect.